Objectives: Dip the biscuit that shuffle in board in chocolates. Biscuit will shuffle around the board. 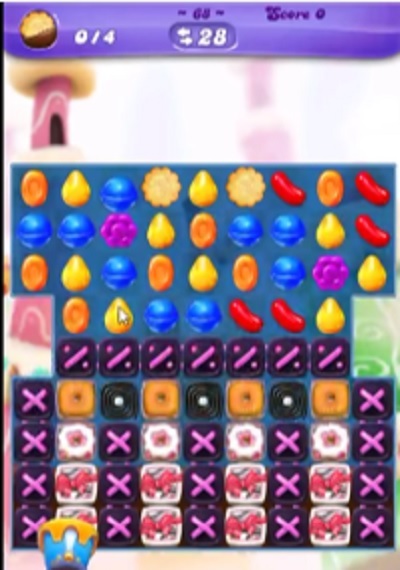 To dip in chocolate you will need to play more from bottom to break the candies. 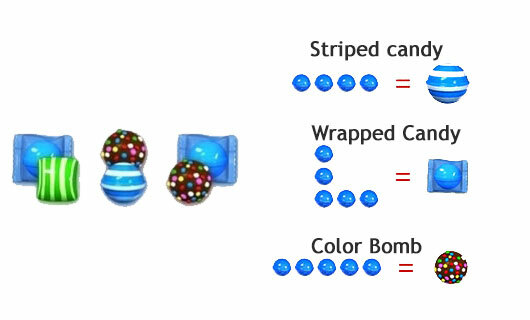 Or make special candy by combining more same color candies to make special candy. Use them to drop the biscuits in chocolates.